Life is funny… just when you think things are going the way you want, BOOM something changes. How do you handle this? Do you get stressed and anxious when things don’t go according to plan? Accept that the only thing that you are for sure of is this moment right now. Remember that life is all about learning. Whether it’s learning about yourself or being part of a lesson for someone else. Trust. Not just others but yourself. So often we forget to trust our feelings & accept them. Think about how you want to feel in life… not just what you want but the feelings associated with it. This will raise your vibration & help to bring this to your life. Understand that if something is not happening for you right now, it’s not supposed to. The Universe will bring you what you need when you are ready. TRUST this. Find time to be with yourself & your thoughts. You need to be able to enjoy your own company. This will bring an inner peace to you that can’t be described. Know that everything that is meant to be, will be & everything is unfolding EXACTLY as it should. 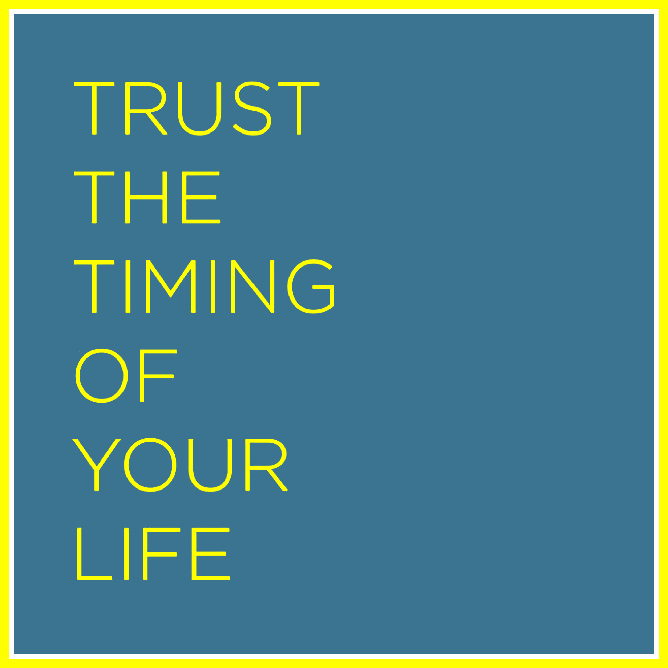 What other suggestions do you have with being at peace in life & being able to trust the timing of your life?